Real College Student of Atlanta: Happy Fall, ATL! This is really a great time of the year! Enjoy!!! 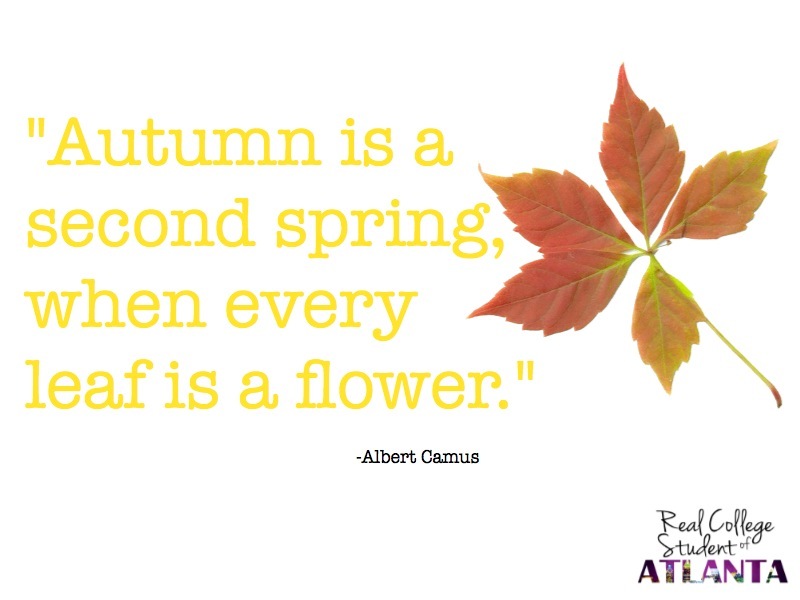 it's still a little hot to be autumn here in atlanta, but hopefully it'll start cooling off soon! omg today it was SO hot!! This is a really beautiful time of year! Thanks for stopping by Fashionably Saving. I'll be liking you on Facebook as well. oh dear that quote is so lovely! Autumn is pretty! Thanks for following me, already following you!